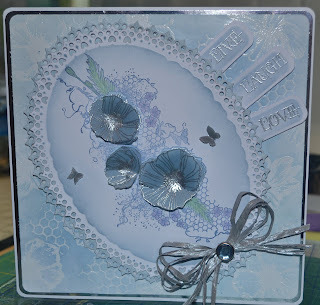 I made my background by stamping various flowers from the 'Live, Laugh ,Love' set using perfect medium and embossed with clear powder, masked them added bits of honeycomb stamp then brayered with various blue distress inks. 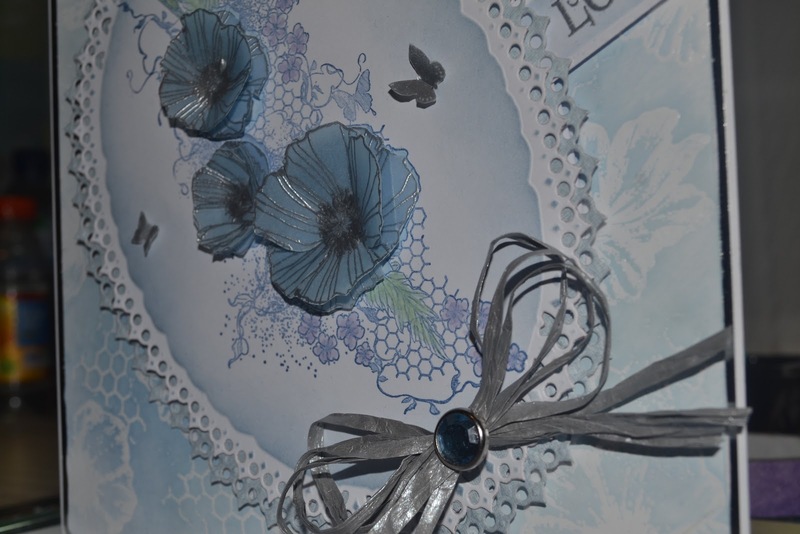 Parts of Love, Laugh, Love sentiment were stamped and diecut. I finished off with a silver raffia bow and a gem. 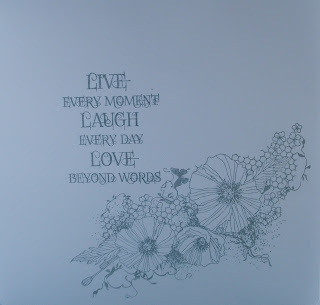 Inside I stamped Blazing Poppies again and the full Live Laugh Love sentiment. This is beautiful Annie. I love the poppies stamped and embossed onto vellum, they look so delicate. 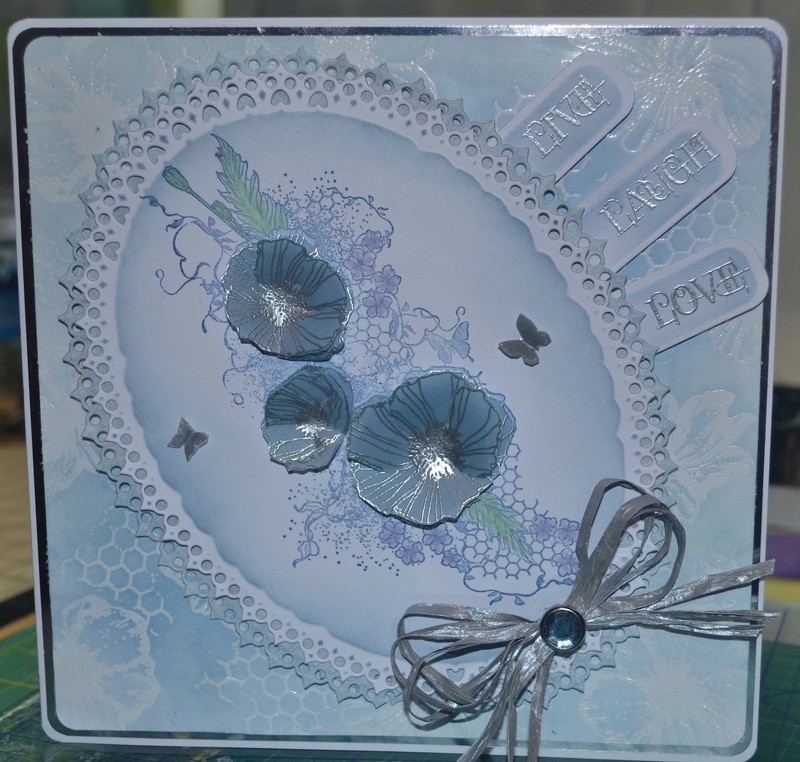 Gorgeous card Annie. 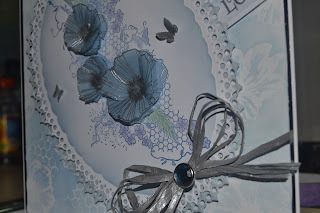 thank you for your kind comments on my blog thy're very much appreciated.